In 1 Timothy 4, the apostle Paul is giving young Timothy some very basic training in being a Christian and a young preacher. In these scriptures, we see the very basics that every Christian should learn in being a follower of Christ and a good soldier in God’s army. Verse 7 really gives a summary of the whole chapter by instructing us to exercise or train ourselves toward godliness. Verse 15 reminds us that when we go through basic training, others are going to see a difference in us. 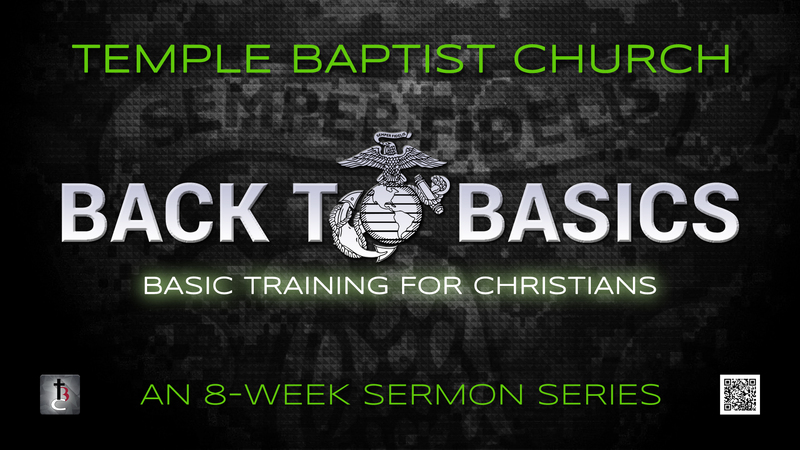 Let’s look and see what Basic Training 101 teaches us as Christians. We are told to follow carefully the words of faith and good doctrine. In basic training, one of the first things that a soldier learns is to listen closely and follow the instructions carefully. We have got to study God’s word carefully so that we can follow it closely. In 2 Tim. 2:15 we are told to study to show ourselves approved to God. You can’t follow the instructions if you are not listening and reading the instructions. It might be a good plan to start reading God’s word daily. In basic training exercise is key to get the soldiers ready for serving in the military. The expression in verse 17 reflects that it is our own responsibility to train ourselves to be godly. Becoming more like Christ has to be our main goal to achieve. He is the standard and not anyone else. To get in shape physically or spiritually takes work and committed effort. In the military everyone is required to conduct themselves as a good soldier at all times. I have a friend that didn’t conduct himself properly in front of his sergeant and ended up losing his front two teeth. When we don’t set a pattern of good conduct that others can see Christ in us, it hurts our testimony and the possibility of others coming to know Christ. We have to be the same everywhere we go. In the military, soldiers are trained to serve in some particular area. They are expected to do their best in whatever area they are assigned to. Paul encourages Timothy not to neglect using the gift that he had. Are you using your gifts and talents to the fullest for the glory of God? Are you in need to get back to the basics of your faith? Are you ready to make such a change in yourself spiritually that others can see a difference in you?